Boat needs a good bath and would show very well. Upholstery throughout is in very good condition. The carpet shows some wear and a few minor stains, typical of a fishing boat. The Hull looks very good, a few scratches on the rub rail and no signs of any major damage. Keel guard helps protect the bottom as you chase the big one into the shallower areas. Stock #170166 Z7 Nitro that has been well maintained, bimini top, excellent condition, 150 Pro Mercury, ready to fish! If you are in the market for a bass boat, look no further than this 2016 Bass Tracker Pro Nitro Z7 Sport, priced right at $28,900 (offers encouraged). 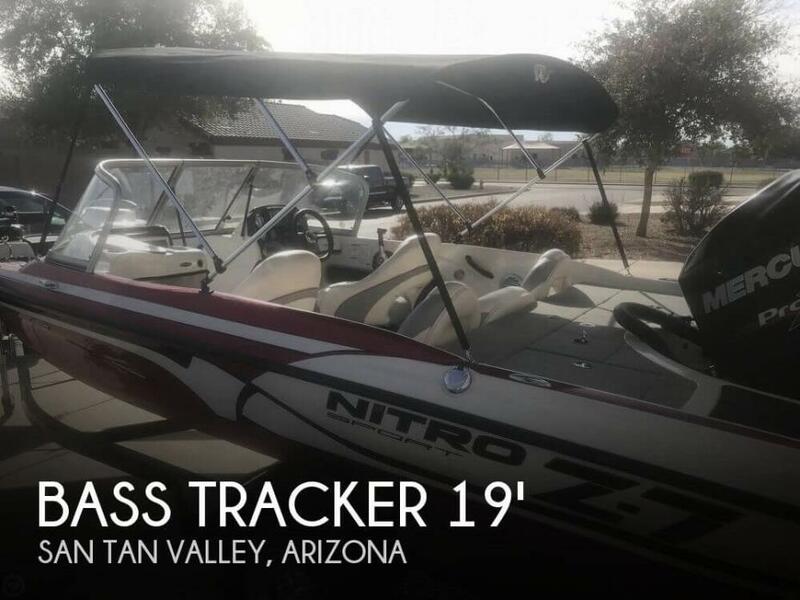 This boat is located in San Tan Valley, Arizona and is in good condition. She is also equipped with a Mercury engine. Reason for selling is spending more time away from the lake than on the lake fishing!.